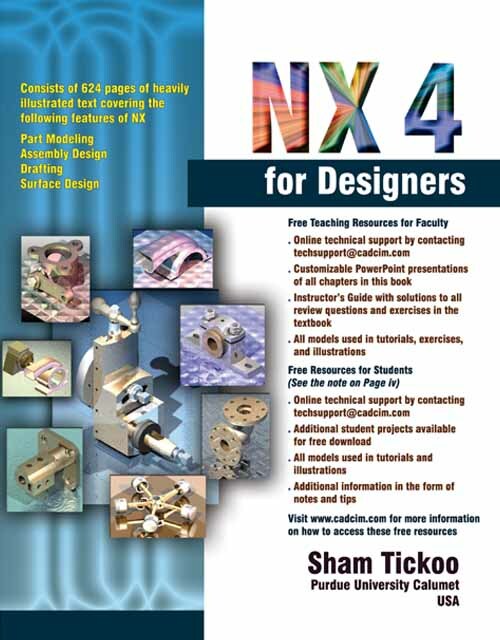 NX 4 for Designers textbook covers the features of NX 4 (a merger of two former products, Unigraphics and I-DEAS) and caters to both the novice and the advanced users of NX. Keeping in mind the requirements of the users, the textbook at first introduces sketching and part modeling in NX, and then gradually progresses to cover assembly and drafting. Written with the tutorial point of view with the learn-by-doing theme, the textbook is ideally suited for learn at your convenience and at your pace. Note: These files are created in the Educational Version of the software and therefore cannot be opened in the Commercial Version. If you find any problems in downloading the files or the contents, please contact us at mailto: sales@cadcim.com Thank you.